When Todd from Print Storm first sent through the web design for this site we were excited by the clean and simple layout he had put together. Todd had provided artboards for desktop and mobile views giving us a clear direction for the responsive design part of the build. Choosing Wordpress for the content management system was a no-brainer; the site wasn't very complex and we knew we could make all the needed customisations to the admin. Keeping the content on a website new and fresh is really important to engage users and boost search rankings. To help with this we make the admin area easy to use so clients don't think of updating their websites as a chore. 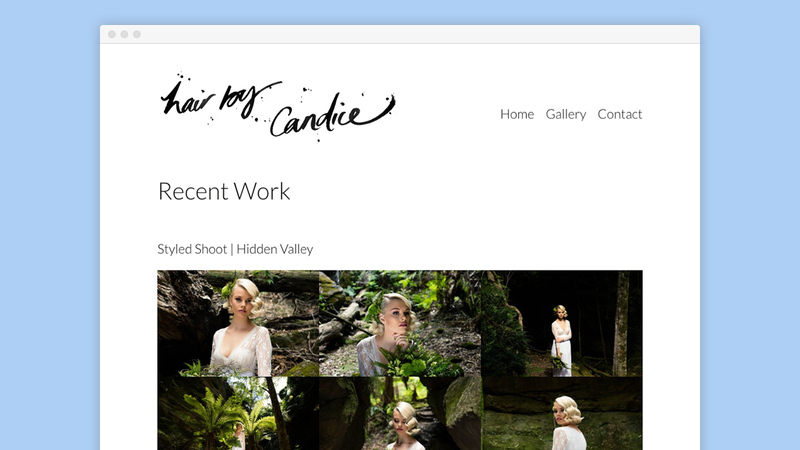 The Wordpress admin for Hair by Candice is no different. Using ACF by Elliot Condon we were able to create custom post types with custom fields tailored to this website. Editing page content and uploading a gallery of images is now as easy as point and click. Overall we were super happy with the result. The website was clean and fast, and the admin area had been customised for a great user experience. Handing-off the website to Print Storm was smooth and the client ecstatic.